1. 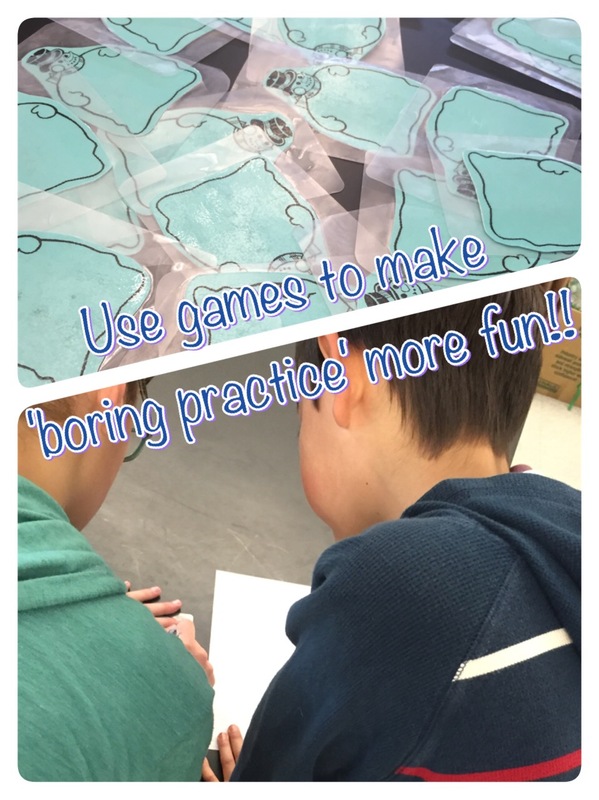 Turn mundane tasks into a fun competition that the students can look forward to! I have a few of examples of this (well, actually, I have more than a few examples. I enjoy bringing friendly competition into my classes and my students really respond to it!). Example 1: I have made turning homework in into a game! Each class is timed on how long it takes them to turn their homework in. 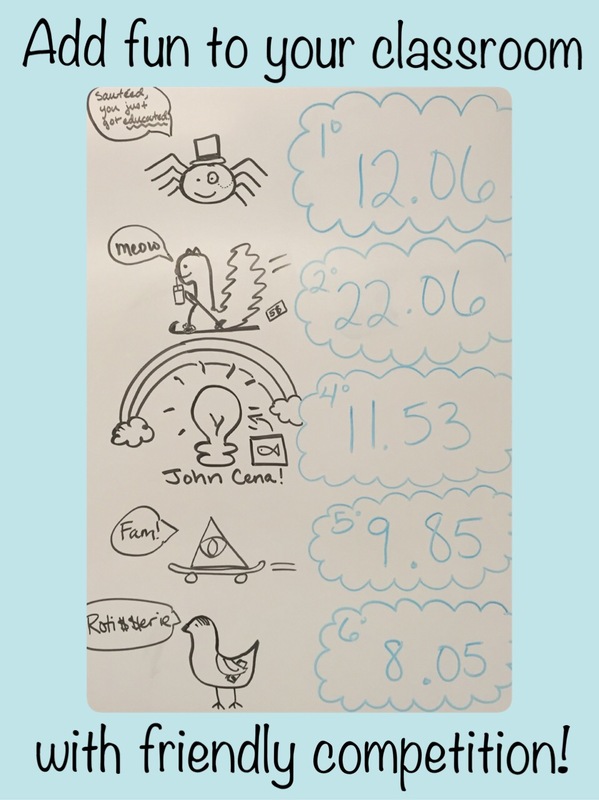 The times are posted on the whiteboard in the front of the classroom (along with the mascot each class chose for themselves) and they all compete against each other. Not only does this create great camaraderie among the students in each class, but it also puts a huge emphasis on getting their homework turned in so they don’t forget to do it! My students get really into this, they discuss and plan out their ‘strategy’ for winning or improving their times, they cheer each other on and they actually look forward to turning in their homework! Yes, that’s correct, they look forward to turning in their homework because it’s another chance to improve their time and beat another class. 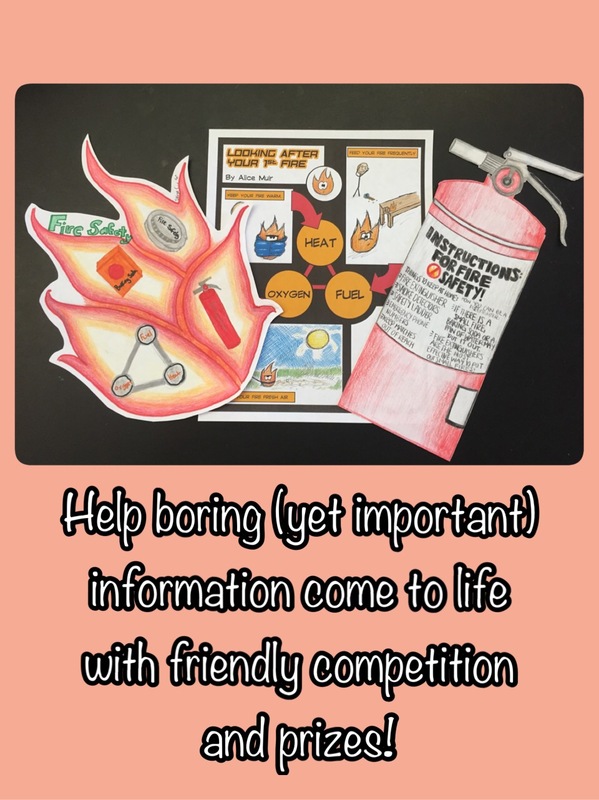 Example 2: This is something that I did recently while teaching my students about fire safety; not necessarily something to write home about… Until I turned it into a grade-wide competition! As part of my Chemistry unit, I needed my students to learn about fire safety. There was already a section in the book about it, so I figured they could read that and we could review the information as a class and discuss the importance of understanding fire safety both in and out of the classroom. About 15 seconds after I planned this mini-lesson I realized how boring it would be for my students and I decided to change it up a bit. They still needed to read the section out of the book, but the reading was ‘research’ for them to create an educational and informational poster to educate others. Each student would create a poster to submit for their table to vote on. For the voting process, each table would vote on the poster to represent their group (4 students at each table). Once each table had chosen their representative, the class would vote on all of the table submissions (8 tables total). To keep it equitable and to stop students from stacking the deck in their favor, students could not vote on their own table’s submission. Once I had a winner from each class (5 classes total), all of the classes voted for their favorite. Just like with the individual class votes, class periods could not vote for their own submission (again, keeping things equitable and to help avoid stacking the deck). Of course, to increase their buy-in, I gave out tickets. Lots and lots of tickets (see more about my use of tickets in this post). For the class period round of the competition, each student whose poster got voted to represent the table got a ticket, each student from the winning table for the class period got a ticket and the student whose poster won got an additional 2. For the grade wide vote, the class period whose poster won, each student got a ticket and the student whose poster from that class was chosen got an additional 2 tickets. The students got so into this assignment! We started this on a Friday and most of the students worked on their submission over the weekend to increase their chances. They took the voting very seriously because they had a vested interest–they wanted their table’s poster to win, then their class period! My students are obsessive about earning tickets in my class. I don’t give them out everyday, they are a special treat; so when I do give them out, they go bonkers! They all wanted to know who the winner was for the poster contest and kept begging me to tell them. I told them I would let them know the day after the vote. They informed me that they did not think that was fair because 1st period would know before everyone else and they all wanted to know at the same time. Solution? I had it included in the morning announcements! If you ask me, it made it even cooler as it became a very public win for that class! They were all excited for that group too since they were voting for classes other than their own and they did not know what poster was from each class (no voting for your friend’s poster just because they are in 4th period!). Example 3: You can also take practice time for a new concept and turn it into a partner relay race! I do this every year for helping my students practice balancing equations during chemistry. Who wants to practice balancing chemical equations for 52 minutes? I’m guessing that maybe a couple of you out there said “I wouldn’t mind that” and then the other 99% said “not me!” Well, I can tell you with 100% truth that when my students play this game, and I tell them that there is only 3 minutes left, they yell out things like “noooooooo!!! I only have 7 more!!!!! !” or “What?!?! That went by sooo fast!!! Can we finish tomorrow?? Please?!? !” I know that seems like dramatization, but it’s not (this is not like those commercials on TV with actors portraying real situations. There are no actors here and all situations presented are real!). How do I accomplish this utopia of learning? Simple–partner relay race with prizes (in other words, competition)! I have about 40 cards in the back of the room with questions on the back that need to be answered and the answer keys are in the front of the room. Here is how the game goes: the students work with their ‘elbow partner’ (the person they sit next to at their table group) and take turns getting up. Partner 1 gets up to grab a card, they bring the card back to the table and the students answer the question on the back (in this situation, it was about balancing equations, I do another version with density calculations and questions). Once they have their answer, the other student goes to the front of the room to check their answer, if it’s right they come back and high-five their partner to trade off getting the next card. If it’s wrong, they help their partner figure out the answer (since they now know what it is) and once they get it, they high-five and get a new card. Once they get all the answers, they shout that they are done! The prizes? Tickets of course! First place: each partner gets 3 tickets, second place: each partner gets 2 tickets and third place: each partner gets 1 ticket! Then they wanted silly prizes for 4th and 5th… So we came up with this: 4th place gets a post-it note (not a pad, just one) and 5th place got a broken pencil. Yes, that was their idea. What can I say? Middle schoolers are quirky! Don’t fight it, just go with it and enjoy the craziness! 2. Don’t be afraid to laugh! Embrace the everyday humor of working with kids. Many times teachers feel the need to be stoic and unemotional in an attempt to maintain order in the classroom. I agree that we need to maintain order in our classes (we don’t want complete chaos to ensue where the scene playing out would look like something from the Lord of the Flies!) However, there’s no reason why you can’t laugh along with your students when something silly happens! Many times I have laughed along with my students over something, wholeheartedly, for at least a minute straight, gasping for air and tears streaming down my face. What’s that? You want examples? I have laughed when students have gotten stuck in the recycling bin (I still don’t understand how he got stuck in there… he claims he was trying to stamp down all of the papers to make room for more), I have laughed when a student felt the need to inform us that he loves mayonnaise while we were having a class discussion about space and the possibility of time travel, I have laughed when my students told jokes, and I have most certainly laughed along with them whenever they find something funny or amusing (like when I do something silly by accident–such as falling into a wall because I thought there was a counter behind me. Yes, that really happened. And yes, we all got a good laugh out of that one). Laughing is a very, very healing aspect of life and the more we can incorporate it into classrooms the better. I’m not sure if you remember how terrible middle school was for you (unless you are one of those lucky 3 people in the world who had a great middle school experience), but I have strong memories about the awkwardness, the acne, the greasy hair, the odor (oh my gosh the odor! )–it was bad!!! If we can help make our students feel more confident and comfortable in their own skin by laughing, then we should! Demonstrating how to laugh off silly situations is a valuable skill that we should be teaching these young people. We don’t need to take life so seriously all the time and it’s OK to laugh and have fun! If you read my first two ideas you will have observed that tickets were involved in those strategies. 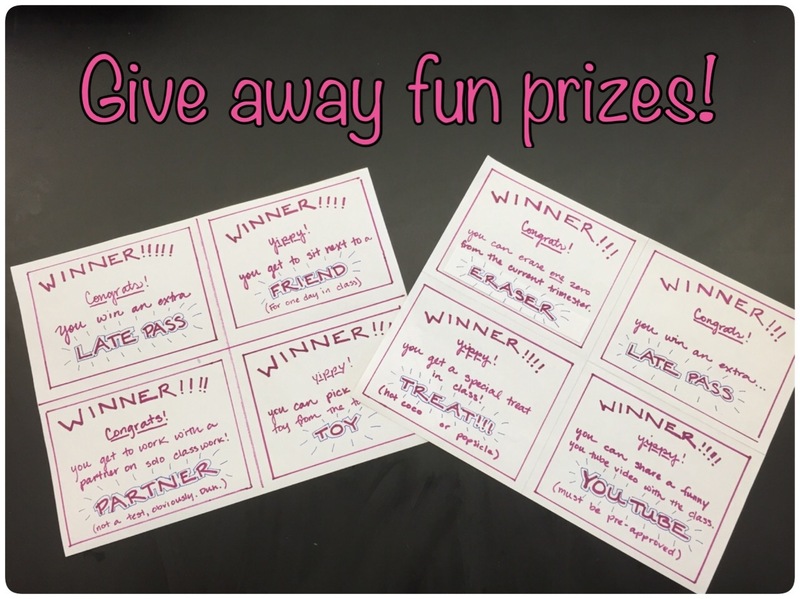 Also, in a previous post I discussed giving out tickets and pulling them for prizes as a classroom management strategy (read more about that here). My students LOVE prize days, they get so excited! The prizes are simple things like: sit next to a friend for a day, an extra homework late pass or share a funny YouTube video with the class (approved by me, of course). I like doing things like this because it’s a nice reward system for students. They don’t all win, but they get really excited about the possibility. A few notes: 1) I always have each class decide how many prizes one student can win in a single drawing. This takes care of the potential issue of students finding it unfair if one student won 3 of the 8 prizes, you just remind them that they decided that one student would win 3 (or whatever number they agreed to) and that they probably would not be complaining if it were them who just won 3 prizes. 2) Establish the rule that you will stop giving out prizes if they stop clapping and being excited for whomever wins. I started this rule because I noticed that students were being “sore losers” when their names didn’t get picked or when a “less popular” kid won and I was not going to allow that to happen. Hence, the rule was born. I have come up with some really fun prizes over the years and I enjoy tailoring them to the students likes and wants. Some that I use fairly consistently are: extra late passes (for homework assignments, but you could use it to excuse tardies if that’s an issue your students have), DJ for a day (music approved by me and during an activity that it won’t be a distraction), share a funny YouTube video (approved by me ahead of time and less than 5 minutes long), sit next to a friend for the day (class period, in my case) or even hot cocoa in class (I buy an all natural low fat, low sugar mix to make sure I satisfy our school’s wellness policy). Whatever your prizes, just make sure they are things your students actually want, that way, they are willing to work for tickets. 4. 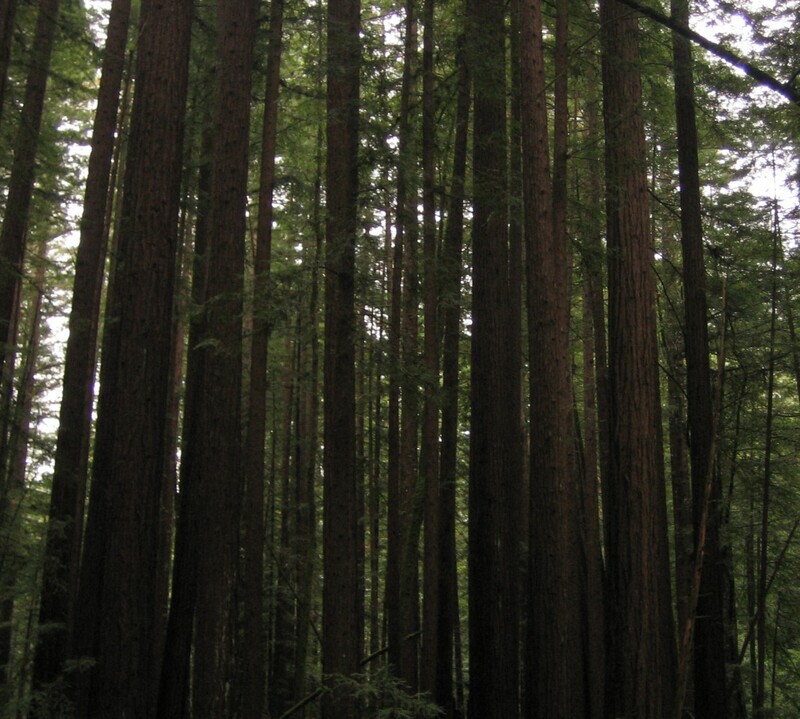 Take unnecessary quiet moments and add music (when appropriate)! 5. Include your passion in whatever you’re teaching! When teachers are passionate and excited about what they are teaching, it, in turn, ignites a passion in the students! Which, in response, gets them excited and you can feed of of their positive energy! This perpetual motion of energy flow is a dream come true in every classroom! It is also a beautiful way to demonstrate a love of learning to our students. Teachers are, of course, responsible for teaching our students the standards, but that’s just a part of what we teach them. In our classrooms, we teach them how to be kind people, responsible people, self advocates, stewards of the earth, learners of the world, and so much more. Robert frost once wrote “I am not a teacher, but an awakener.” Awaken your students with your approach to teaching. Make it fun, make it memorable.